Time is of the essence. You need to get tickets to Volume 16 of Pechakucha Silver Spring before time runs out. We’re talking Time, and we’ve got great presenters talking about eras in time, the physics of time, the philosophy in time, and other aspects that you may never have considered. 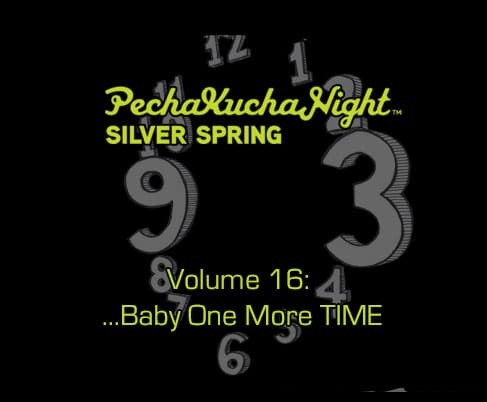 Bring your friends, tell your family, and spead the word that you’re coming to PechaKucha Silver Spring Volume 16: …Baby One More TIME. 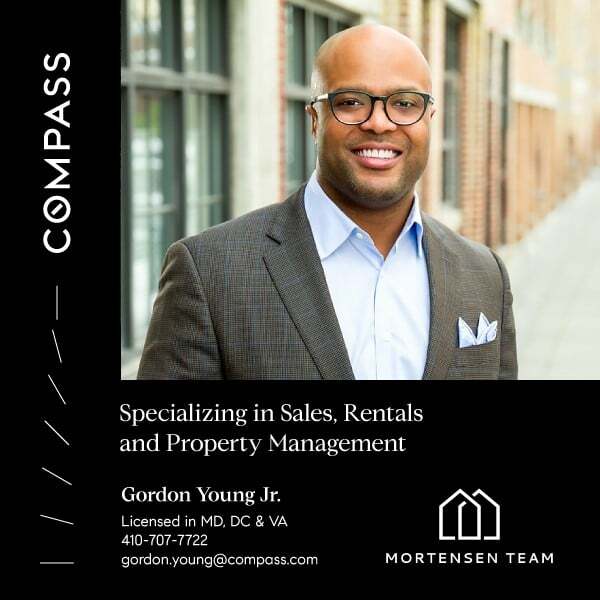 20X20: All of the presentations are exactly 20 slides and each slide is timed to exactly 20 seconds for a total of 6 minutes and 30 seconds. It’s the PechaKucha way! 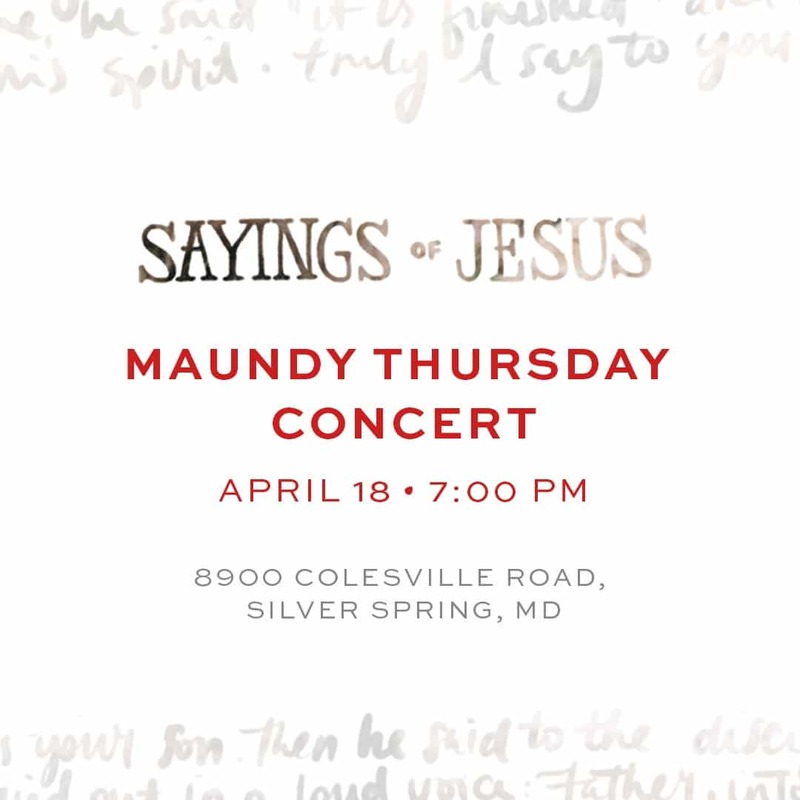 Come to the Silver Spring Civic Building on Friday, April 12, 2019 from 7-9:30PM. Spend the first ~20 minutes chatting with some friends, digging tunes, and enjoying beer, wine and light snacks. Around 7:20PM, we’ll have the first half of presenters. You’ll laugh. You’ll cry. You’ll be full of awe. Intermission. 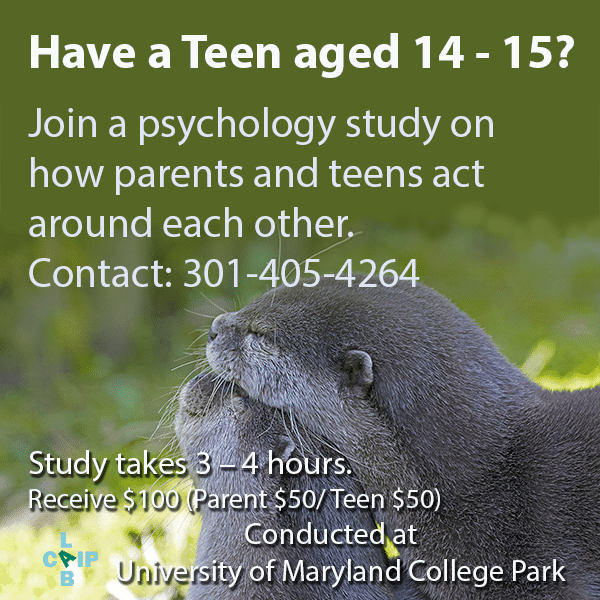 We encourage you to discuss ideas that you heard or considered through the first half. Maybe discuss it with a stranger. We’ll have the second half of presenters where you’ll go through a similar roller coaster of emotion as before. Afterwards, hang out and chat until we kick you out.